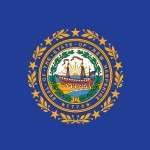 New Hampshire Poker – Is Online Poker Legal in NH? Are New Hampshire players crap out of luck right now? It kind of looks that way. Home poker games are illegal. Online poker is illegal. Casino poker isn’t available …and is illegal. The only options you have – without loopholes or breaking the law – are charitable poker games. But what about those loopholes? What do those allow you to do? Keep reading and I’ll tell you. Yes, home poker games are illegal. And that’s how the authorities see it. But they do nothing about it. They basically turn a blind eye to it. Maybe consider playing, but not hosting. That way less responsibility falls on your shoulders if things go wrong. And no matter what – be sure the game (or any player) doesn’t collect a profit. That means no charging to play or for food and beverages. That should steer you clear of trouble. Other than home poker games your option is to play ‘charitable poker.’ At first glance these sounds like it would be boring. Except I don’t think it is. In the name of ‘charity,’ there are several poker and gaming rooms throughout the state that spread poker, blackjack, roulette and other legal games. There are some rules, of course. The max bet for cash games is $4 and the highest I’ve seen for tournaments is $150. You’ll find a legit mix of games variants, buy-ins and game types (cash games, tournaments, sit and go’s). New Hampshire doesn’t mention online poker. So, the default is to assume it’s illegal because it’s going to fall under their standard gambling laws. (d) “Gambling ” means to risk something of value upon a future contingent event not under one’s control or influence, upon an agreement or understanding that something of value will be received in the event of a certain outcome. You can still play at offshore poker sites if you’re willing to take the risks. I use the word risk lightly, too, because no one has been arrested in the state (that I know of). I recommend choosing a top shelf site or two and just keeping the bare minimum online, and you should be okay. There is no casino poker in the state because there are no brick and mortar casinos. It looks like they’re trying to change that, though. What Does The Future Hold for New Hampshire? Some of my resources suggest that we’ll see online poker legislation in 2017 or 2018. But me – I say they’re being a little overly optimistic. Right now, the state doesn’t offer any form of legalized poker outside their charitable gaming options. So, the only – in my opinion – that New Hampshire will regulate online poker is if they first legalize brick and mortar casinos …with poker as an option. And it does sound like they’re trying to do that. 2015 might be their year. According to reports Senator Lou D’Allesandro is optimistic about it – assuming the house can agree to how they’ll spend the extra revenue. He hopes that they’ll pass the bill in 2015. It’s a start, for sure. But, only a start. I think some people underestimate how long it takes for these things to happen. For laws to pass. For legislation to be written up. To setup gambling enforcement agencies. To go through the licensing process. That stuff takes time. Months. Years even. My opinion: it’s going to take a few years before we see brick and mortar gaming materialized in New Hampshire. Then – and only then – will we see any form of regulated online poker. And I think that it will be a few years further down the road. So, 4-7 years from where we’re at now. Time will tell I suppose.